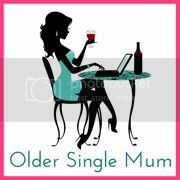 Older Single Mum: Laptop Love. 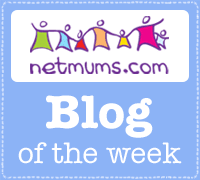 Collaborative Post - There are lots of fights in our house with two lively and energetic boys. Their physical playing is something I have never before encountered having grown up just with two sisters and it can be really alarming, but lately, we have a new one - the eldest and me fighting over the laptop. It could be said that I'm quite precious about it and that's because it's like the last shred of anything left that's me and mine alone. Well, it was. It seems internet access is more or less a must now for children as young as him (eight) to be able to do their homework and we're lucky that we have it because, as easy as it is to take it for granted, not everyone does or is able to and this must pose a problem. a little social exclusion because he is entitled to free school meals and the Pupil Premium that comes with it, which means pulling him out of his normal classes (or something I'm completely vexed about, even his class Christmas party, along with all the others who get it) for extra reading and writing tuition, despite the fact he doesn't need it and it would be hard to bear if this were to be stretched further again, because it can be crippling. However, it seems if the school handles it right, this not need be the case. Aly says her girls had/ have use of their VLE (Virtual Learning Environment) which helped before she had her own laptop and it seems most schools offer some sort of homework clubs at lunch time or after hours. I guess it doesn't necessarily have to mean this is just because it can't be done at home with so many kids taking part in so many after school activities nowadays and there is often a local library that offers the same. For older children this can have exactly the opposite social effect! The lovely Helen has found that being able to log in and complete homework on line though has been a godsend and it has really improved her son's maths. It has certainly given mine more impetus to wrestle me for use a computer and play the maths games that the school recommends, with local league tables from all around the area's Year Four competing against one another. So there's me thinking this is the future Peeps, only to find that Angie's daughter, who's just left High School (and since when did we start calling it that?!) at 18, has required access to the internet for her homework her whole time there, with laptops being lent out as required and I have a friend whose daughter, 11, 'had to have' a computer of her own for Christmas as she has just started Senior School and their own PC wasn't up to what she needs for hers. So it's the past too, as well as a present (geddit?)! But it gets worse/better - Annie has found herself sharing theirs with her five year old who's been asked to research their local village on-line, Jenny, whose eldest is also eight says 'How else would we find out what the socio-economic climate of the Cook Islands is?' with their school offering funding for families if it's really needed and Cass talks of one that goes a step further by actually having a payment scheme set up so parents can pay monthly for an ipod touch for children from year 5 upwards. The Crazy Helen says her eldest two are always pestering for the laptop, particularly the older one as much of his homework is done on the school homework website and he also needs the use of a printer, but must use the school one because she doesn't have colour ink. Resist, I say. Resist. So it seems our little grapples are just the beginning of things to come. Yes, but the laptop is MINE.... all mine. Sorry, *smacks self round face*. They can use it for homework but only if they can't access what they need on their tablets or the main PC. I am a nice mother, honestly. We rarely have the laptop on and at home just use tablets. school send home suggested extra activities you can do online but they rarely can be done on a tablet and are not compulsory. Reading eggs can be however which is great news! That was one thing the kids never fought over was computer time, weird. Hence the *starts saving* Can be the only answer to sanity and peace! Oh dear God. Younger and younger. But then none of this should come as a surprise to me, as Aaron's class at nursery have their own ipad, and that's the 3-5 year olds. Even his younger 2-3 year old class (same building) had one. I think you need to get schmoozy with a computer company and wrestle one off them in exchange for a review so that your big boy no longer wrestles yours off you. Goodness, I've got all this to look forward too. Thank goodness we only have daily spellings to deal with at the moment! I think that technology and on-line research are such a huge part of the working world now that technology has to be an integrated part of education, rather just a one hour IT lesson. Schools I have worked in have always offered lunchtime clubs and financial support packages for families so that everyone has access so watch out as technology is becoming more and more a part of education so you might need to share your laptop - all in the pursuit of education of course! Roo got a tablet for Christmas as she was pestering us to use the laptop or my tablet. I think kids need to be able to access technology however the cost of new equipment can be very high. My 13yo is in secondary school and does not have books but has ebooks on an ipad! I think it's a little bit sad that kids need technology so much these days. What happened to going to the library and searching through index cards for books? Is it just me who misses the old days? Kids are too reliant on it. too much emphasis these days on apps this and apps that! Not in this house Paul, as you may have gathered, but I have to admit we have a few - inc a maths one! You're time's a comin - and yes, we all had back and shoulder ache too!